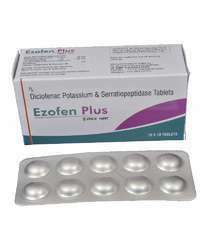 We are leading manufacturer and exporter of Pain Relief Medicine. Backed by our years of industry experience, we are betrothed in presenting an excellent quality of Pain Releif Drug. This drug is composed of quality salts and minerals that help in relieving pains quickly. The offered drug is processed using adhering to medical industry norms and methods. It can be used / applied by all age group of people. In addition, the provided drug have been approved and appreciated by recognized laboratory for its incredible compositions. 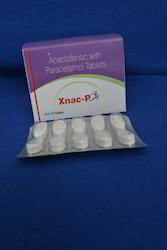 We are offering Nimesulide Paracetamol Tablet to our client. We offer this at market leading price. 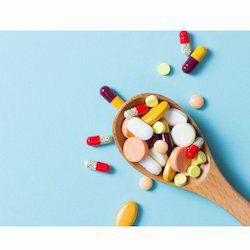 With our rich industrial experience in this domain, we are engaged in offering our clients a vast assortment of Aceclofenac Paracetamol Serratiopeptidase Tablet. 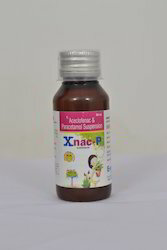 This medicine is formulated by finest grade ingredients and advanced technology as per with the medical industry standards. 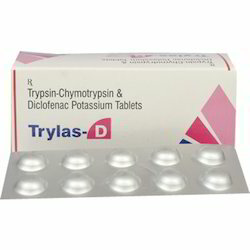 Owing to our vast experience in this domain, we have been able to offer Trylas-DTablet to our valuable clients. 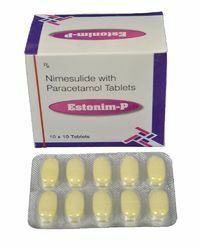 It is broadly used as anti inflammatory tablet to reduce inflammation and pain & to improve sustainance Our offered tablet is processed using best quality ingredients such as trpsin and Diclofenac Pota. Moreover, quick action, accurate results and precise composition are the features of this tablet. 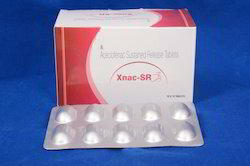 "XNAC-P Tablet" - 10 x 10 tablets blister pack - aceclofenac 100mg + paracetamol 325mg tablet. 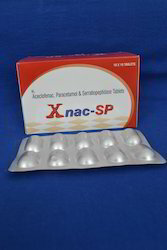 We have marked an enviable position in the industry by supplying and trading an accurately processed range of Aceclofenac Paracetamol Suspension. 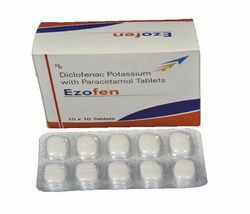 We are leading manufacturers of Ezofen Tablet- Diclofenac Potassium + Paracetamol Tablets. Reaches peak plasma concentration in just 15 to 30 minutes. 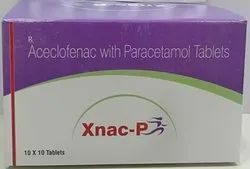 Aceclofenac Paracetamol Tab is phenylacetic acid derivative showing effective anti-inflammatory and analgesic properties and a good tolerability profile in a variety of painful conditions.